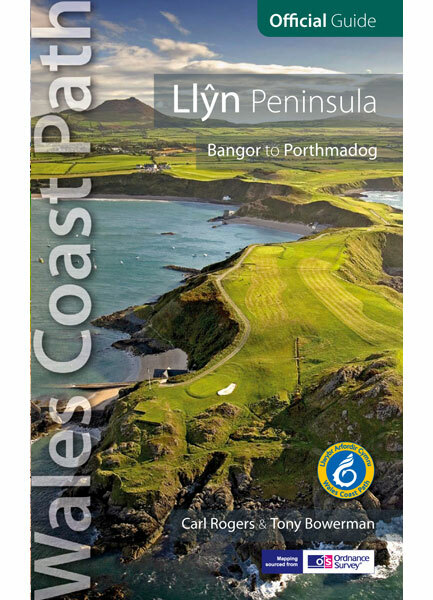 110 miles/180 kilometres of often remote coastal walking on the Llyn Peninsula’s ‘Land’s End of Wales’ broken down into nine easy days. 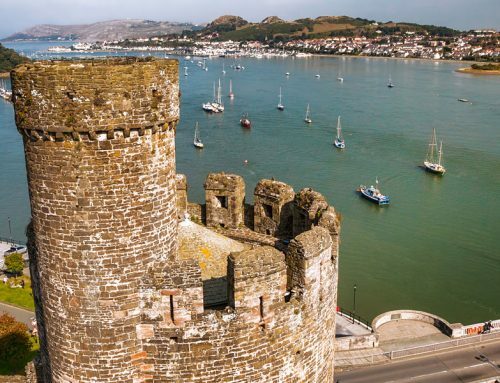 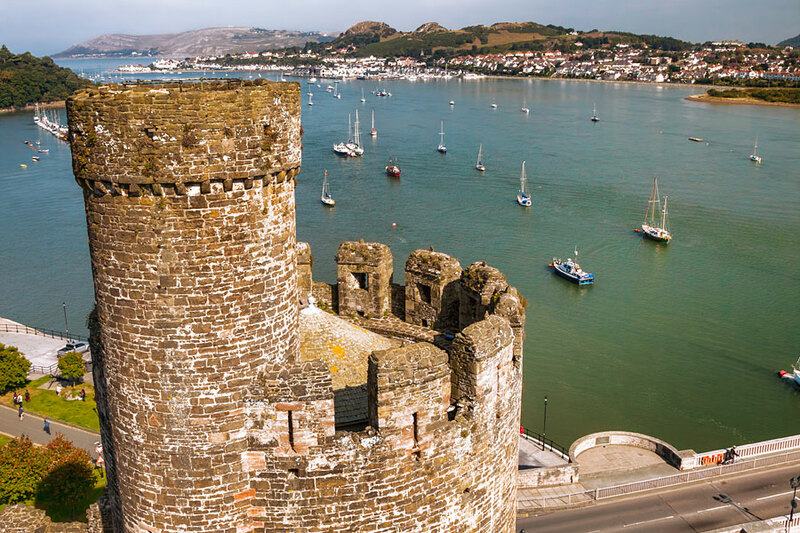 Bangor pier, Menai Strait, Pont Britannia and Menai suspension bridge, Caernarfon Castle and walled town, St Baglan’s church in the fields, Aviation Museum, Dinas Dinlle Iron Age fort, St Beuno’s Church and holy well at Clynnog Fawr, Yr Eifl, Tre’r Ceiri hillfort, Nant Gwytheryn and the Welsh National Language Centre, Nefyn’s maritime museum, Porth Dinllaen and the Ty Coch pub on the beach, Porth Colmon, ‘Whistling Sands’ beach, Mynydd Mawr and choughs, panoramic views over Bardsey Island, Aberdaron and its National Trust Visitor Centre, Mynydd y Craig and sea views, Plas yn Rhiw National Trust house, Hell’s Mouth four-mile beach, dolphins in the sound, Mynydd Cilan heathland, Abersoch ‘surf village’, Plas Glyn y Weddw gallery at Llanbedrog, market and harbour at Pwllheli, Criccieth Castle, Lloyd George Museum at Llanystumdwy, Black Rock Sands and Porthmadog harbour and marina. 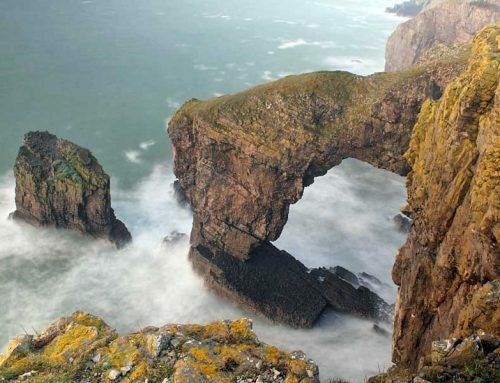 Sometimes called the ‘Land’s End of Wales’, this quiet part of Wales embodies everything that makes the Wales Coast Path so enticing. 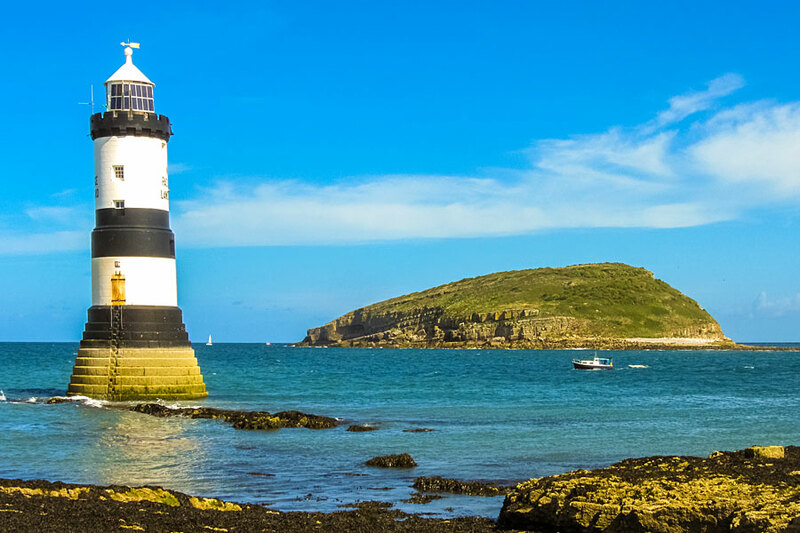 Largely undeveloped and unspoilt, the Llyn Peninsula promises outstanding landscapes rich in history, Welsh culture and wildlife. 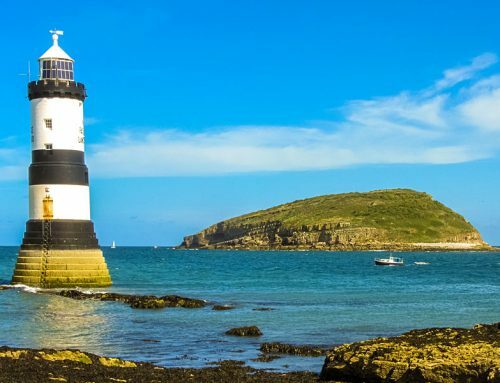 From Bangor to Caernarfon, the path runs alongside the Menai Strait and Caernarfon Bay with the triple peaks of Yr Eifl dominating the view ahead. 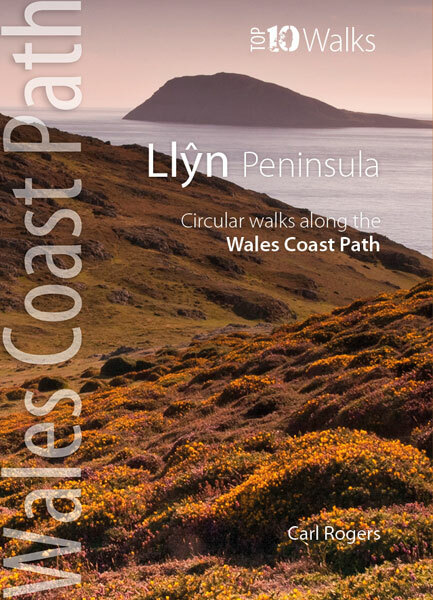 Beyond the high, heather-clad hills and the hidden valley of Nant Gwytheryn, the northern coast between Pistyll and Mynydd Mawr is mostly empty and quiet. 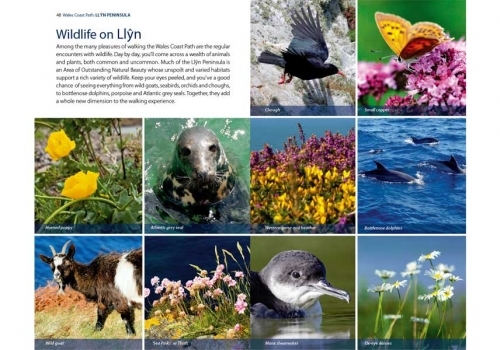 Just off the rugged tip of the Llyn Peninsula lies Bardsey, or Ynys Elli, the ‘island of 20,000 saints’. 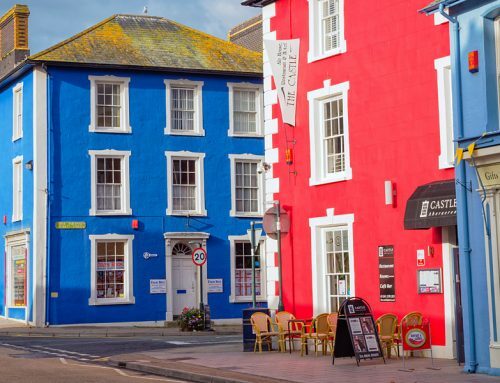 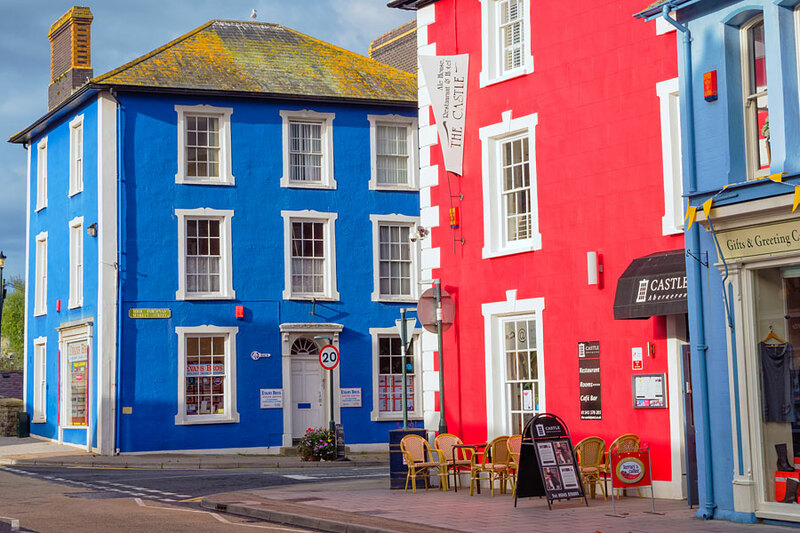 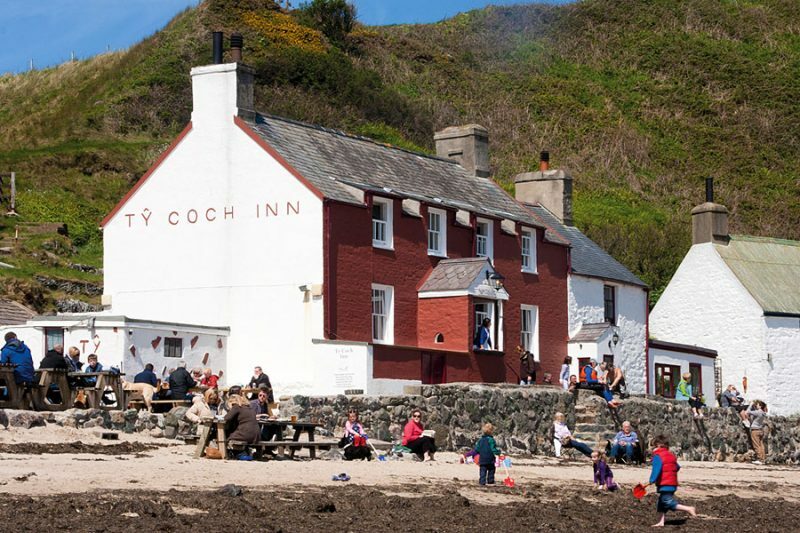 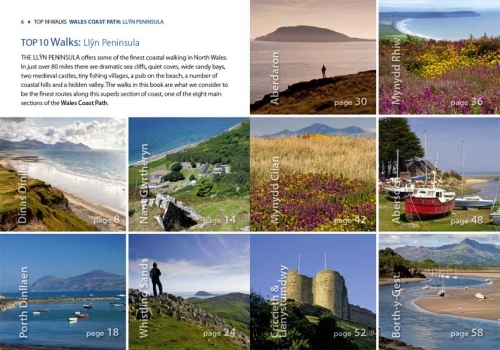 From tiny Aberdaron and the National Trust visitor centre, the path follows the softer south coast past sandy bays and holiday honeypots: Abersoch, Llanbedrog, Pwllheli and Criccieth – with its crag top castle and local ice creams, to Porthmadog at the head of Cardigan Bay. 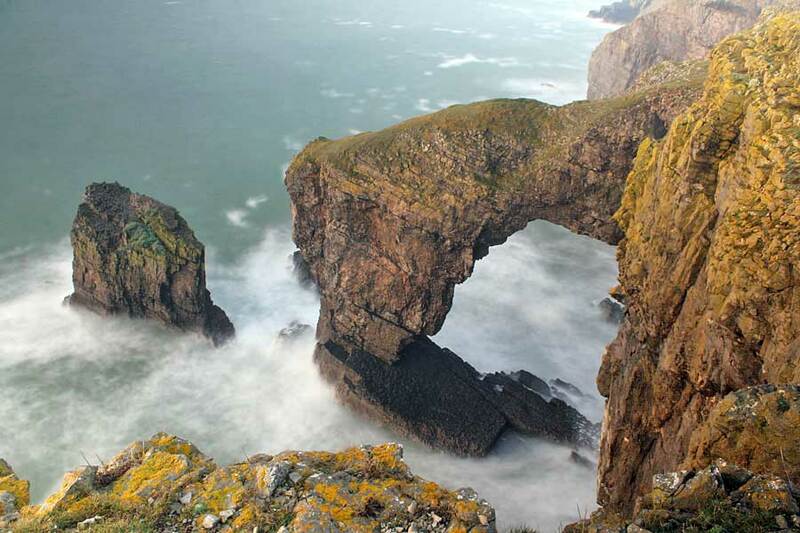 From start to finish, it’s a varied and richly rewarding walk.